Here you can download EZP3P 2.20 with version . This software was developed by P3P Tools Inc.. Distribute by license Trial and price 19.99. 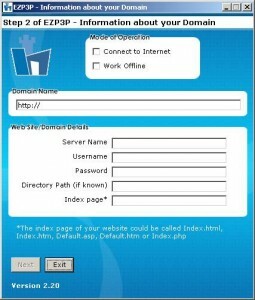 You can download this software from www.p3ptools.com domain.